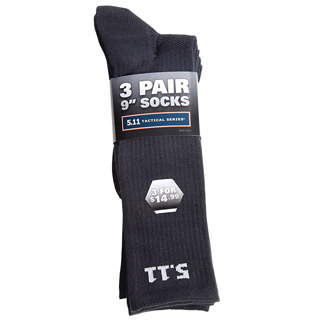 Our 9' Socks incorporate multiple compression zones that work in tandem with 5.11®s Shock Mitigation System®, and are designed to be lightweight and utilize kinetic absorption to improve your stamina, speed, and control. Would you like to request a sample for evaluation? Not sure what sizes to order? Would you like a quote on embroidery or screen printing?